Remember the 80’s and super popular Miami Vice were Don Johnson and Philip Michael Thomas rocked their suits while fighting crime? Loose the big shoulder pads and you can still wear your suit Don Johnson style with a T-shirt. Plenty of current A-listers like Will Smith, Collin Farrell, Chris Pine and even Brad Pitt have been seen nailing the look. It’s time to separate the jacket from the pants and combine them with a pair of jeans. A look that would normally require a blazer, but also works with a light grey suit jacket. Some people might realize that your jacket is actually part of a 2 piece outfit, but don’t let that bother you! 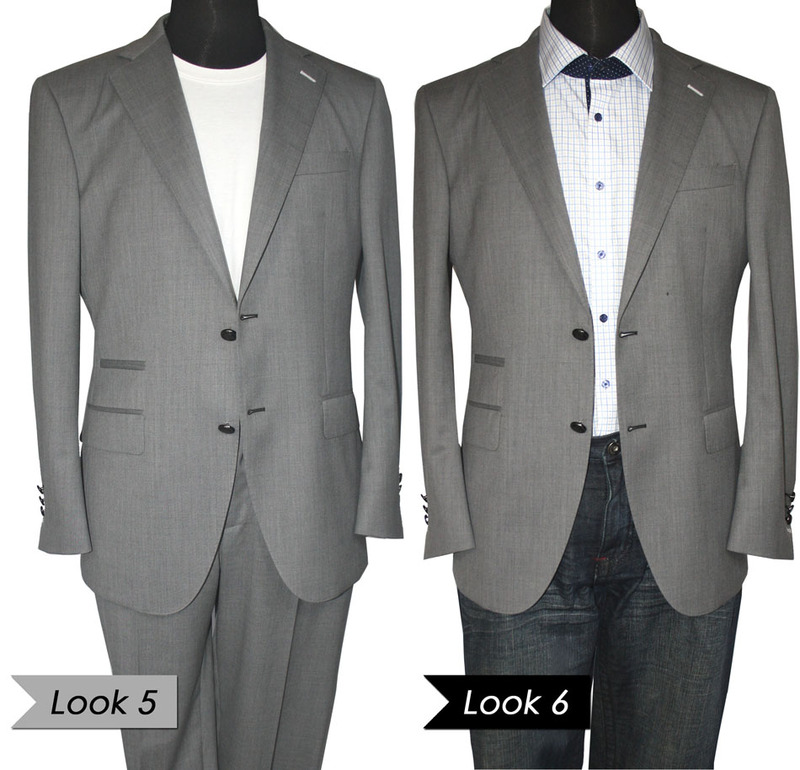 The simple fact of wearing a jacket with your jeans, makes them look more formal. Our preference goes to a dark pair in combination with your grey suit jacket. Avoid torn jeans at all cost and pay attention to the fit: no loose or low hanging models. They are way to informal to look good with a jacket! You want your denim pants to fit you in a similar manner as your dress pants would.